Australia and Chile are the world's two largest lithium-mining countries. However, reflecting different geological and climatic conditions, they differ significantly in the way they produce lithium. The Greenbushes mine in Western Australia (which supplies one-third of the world's lithium) entails the mining of hard rock, with initial processing onsite including crushing, grinding and flotation. Greenbushes is in the southwest of the state, at an altitude of 325 metres (1,000 feet). The climate is temperate. 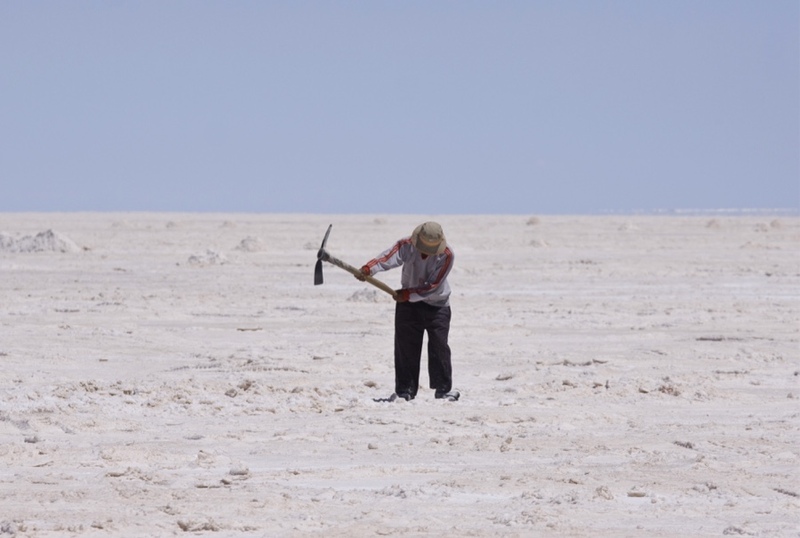 Lithium mining in Chile entails the extraction of lithium-rich brine from salt lakes. The brine is concentrated in evaporation ponds for several months, followed by initial processing onsite that includes precipitation. These operations take place at altitudes of up to 4,000 metres (13,000 feet) in a region (Salar de Atacama) that is one of the driest in the world. Located in the north of the country, it is part of the so-called "lithium triangle", comprising the border regions of Chile, Argentina and Bolivia. Lithium mine production, tonnes, 2017 – A salt flat in Argentina. Lithium, the world's lightest metal, used to have a low profile. Now, as a key component of lithium-ion batteries, it is seen as a product of the future. Such batteries are used in digital devices (e.g. mobile phones) and electric vehicles and are seen as promising forms of large-scale electricity storage. Lithium production in Western Australia is set to grow strongly. A major expansion is underway at Greenbushes. In the past two years, production has commenced at two mines in the east of the state (Mount Cattlin and Mount Marion). Production will ramp up this year at three new mines in the Pilbara region, while further mines are at different planning stages. Production is also set to grow strongly in South America. The two major producers in Chile (local company SQM and US company Albemarle) reached agreement with the government in the first quarter of this year to increase their production (which is capped by the government). In Argentina, the major lithium producer, FMC, plans to expand production, while others are on the scene (including the Australian companies, Orocobre and Lithium Power International). Other mining countries (e.g. Canada, Mexico) and regions (e.g. Africa) are attracting attention too. For use in batteries, lithium is processed into a special grade of lithium carbonate or into lithium hydroxide (the latter is more expensive, but also more energy-efficient). In line with mining, processing is also increasing, with new and expanded plants under construction or planned in Australia, the US, South America and China. China plays an important role in processing. It is also the world’s largest market for lithium-ion batteries. And Chinese companies are actively engaged in mining, processing and purchasing lithium ores and concentrates in other parts of the world. For example, in Australia, the Chinese company Tianqi Lithium is the operator of Greenbushes (it is in joint venture with Albemarle), while other Chinese companies have shareholdings in Australian lithium mining companies. Most companies in the lithium sector are optimistic about the future, sharing the view of Australian company, Orocobre, that “demand growth is going to outstrip projected new supply” for some time. This is based particularly on forecasts of strong growth in the production of electric vehicles, to at least 15 million by 2025 (from around 1 million in 2017) in the view of some analysts. However, not all share the view that supply will lag demand for some time. For example, in separate reports issued last month, US investment bank Morgan Stanley and consultancy firm Wood Mackenzie forecast that supply will catch up as from next year. Morgan Stanley forecast that, as a result, lithium prices will fall by around 45% by 2021. All that can be said with confidence is that, for the next few years, both supply and demand will grow strongly.